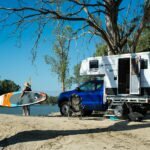 As the power needs of our four-wheel drives and caravans are increasing, so are the demands we are placing on our battery charging systems. Bigger batteries or larger battery banks need to be charged as fast and efficiently as ever, which is why sophisticated DC to DC chargers are so effective and becoming the go-to dual battery charging option. 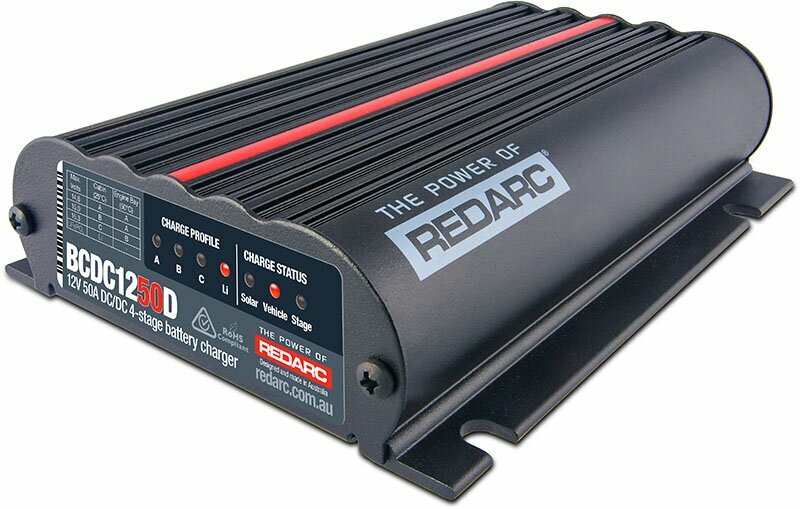 REDARC’s new, bigger, more powerful 12-volt, dual input, 50amp, in-vehicle battery charger, the BCDC1250D, steps that up even further. Unlike the lower capacity siblings in the range, the red line running down its back tells you there’s something different about it. Ideal for batteries or banks larger than 200 amp hours in capacity, the BCDC1250D is the South Australian manufacturer’s most powerful dual-battery charger to date. It has been designed to charge all major lead-acid batteries, it also includes a lithium (LiFeP04) charging profile. Importantly, the unit can take charge from both the vehicle’s alternator and any solar panels at the same time. 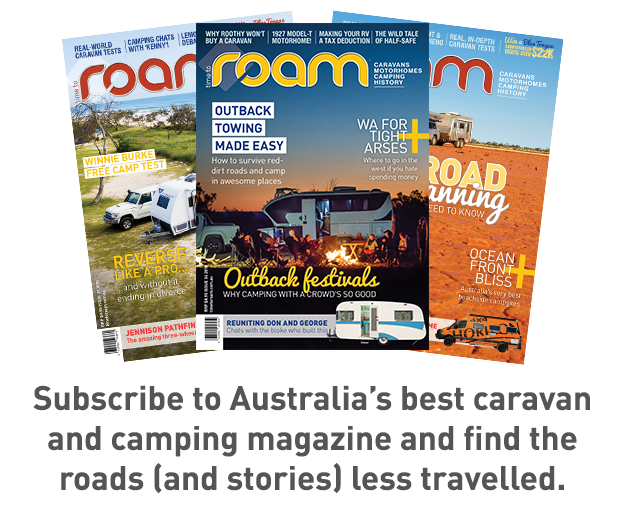 In fact, what REDARC calls Green Power Priority will automatically select and maximise the solar charge first, so it doesn’t needlessly put put load on the vehicle’s alternator. It will also work on one or the other of those power sources, if one’s is absent. The BCDC1250D has been developed to provide a higher current output, it features an additional charging stage known as Soft-Start which has been engineered so that it can handle more demanding applications. Rather than instantly pumping all of the charging power at once into a battery, it will slowly ramp up over about 30 seconds to ease the battery into it and reduce the change of something going wrong.